When incorporating flowers, leaves, and nature, make sure to avoid childish cartoons and overly bright illustrations (save those for summer!). A sketched pattern of daisies and tulips paired with creamy pastels will look feminine yet high end. 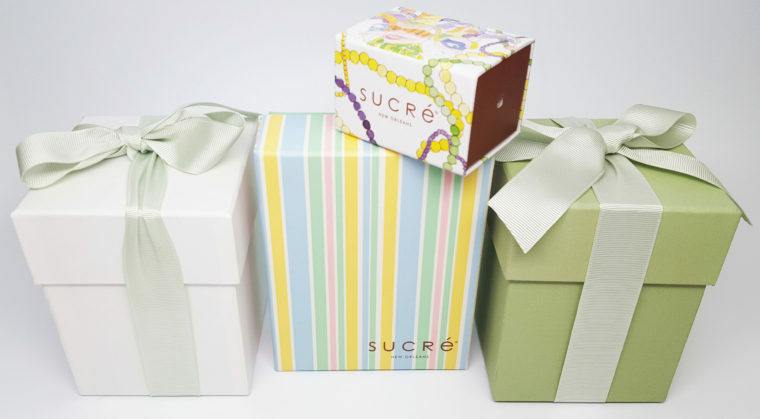 With the right quality satin bow, even the most plain Spring packaging can look fancy. This is a very budget friendly way to increase the value of your packaging without delving too deep into complicated artwork and additions. 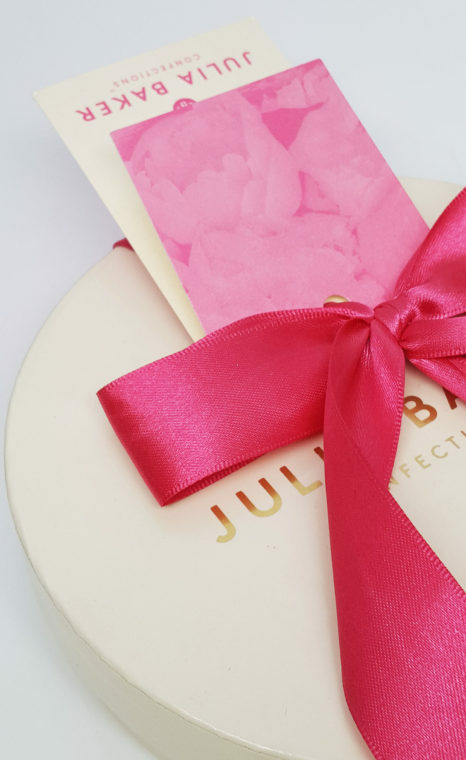 Pairing a satin bow with a touch of hot foil stamp, can be a beautiful combination! We love the simplistic elegance of a classic damask or geometric pattern. 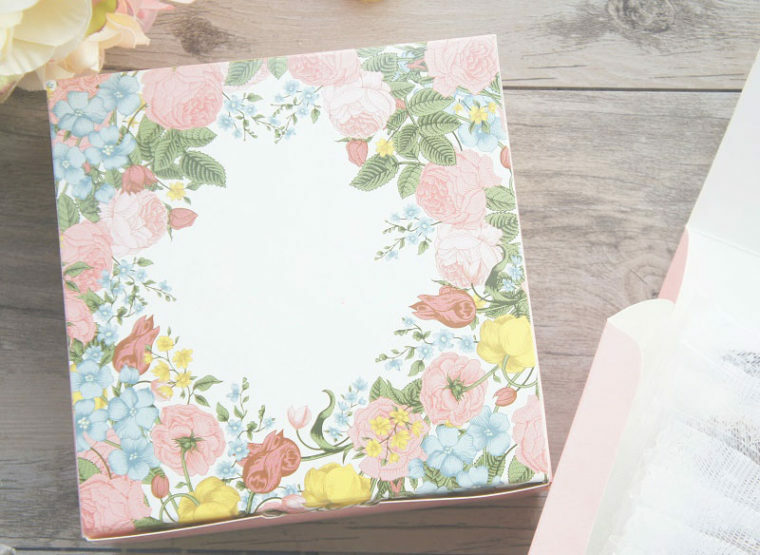 You can also go full artsy with a watercolor pattern depicting anything from pearls to pansies! 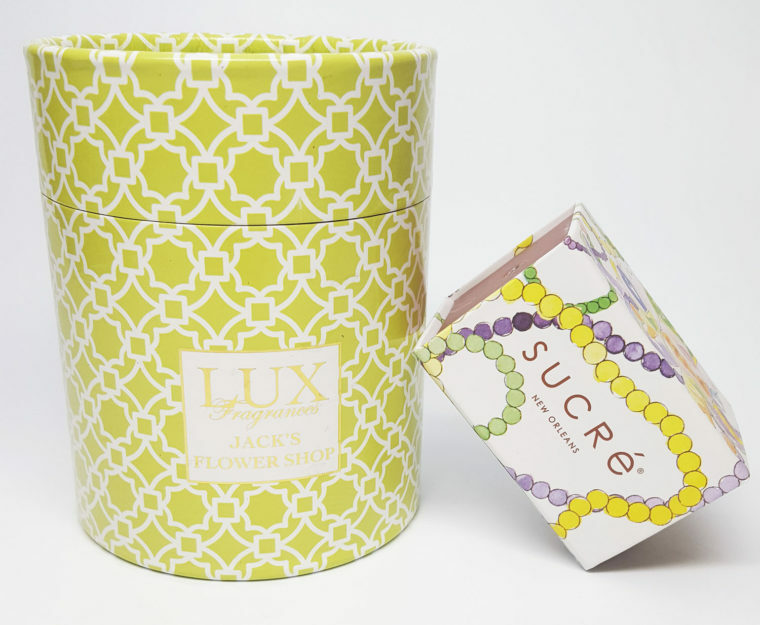 Don’t be afraid to use inspiration from trending fashion to influence your patterns. Matte coating is in, and soft touch takes matte to the next level. A soft touch box with feel smooth and silky in the customers hands, adding an air of pure luxury to their opening experience. Natural textures and fibers are a great way to compliment your product during the Spring. Kraft and other eco-friendly materials evoke thoughts of nature and renewal. 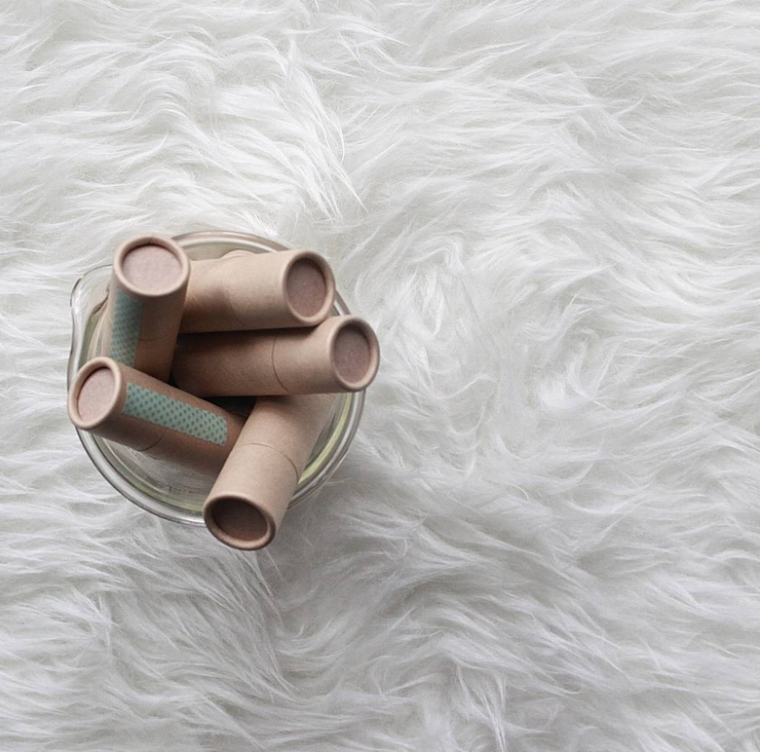 Try pairing a kraft tube or bag with a pastel label for budget friendly elegant Spring packaging, like this lib balm packaging from Urban Oreganics. For more information about the trends that will make share worthy packaging in 2017, grab our free download.